Soundwich offers full service design and engineering support. 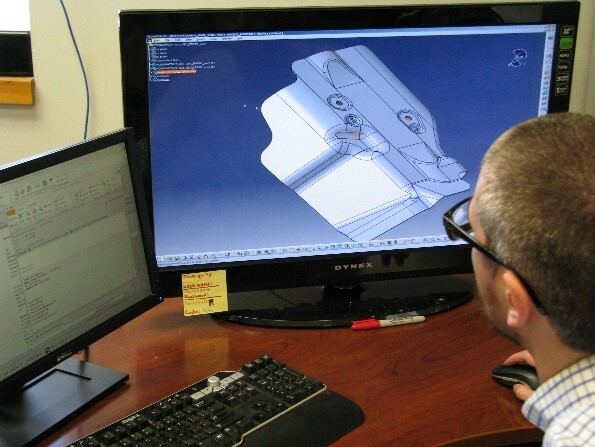 Our dedicated engineering and program management teams provide computer-aided design , computer-aided engineering and forming analysis to meet customer expectations. Soundwich is capable of designing components in all CAD languages required by our customers. Working closely with customer engineers and designers, Soundwich provides the technical expertise in thermal and acoustic design and manufacturing that leads to the best performance and cost effective final product. 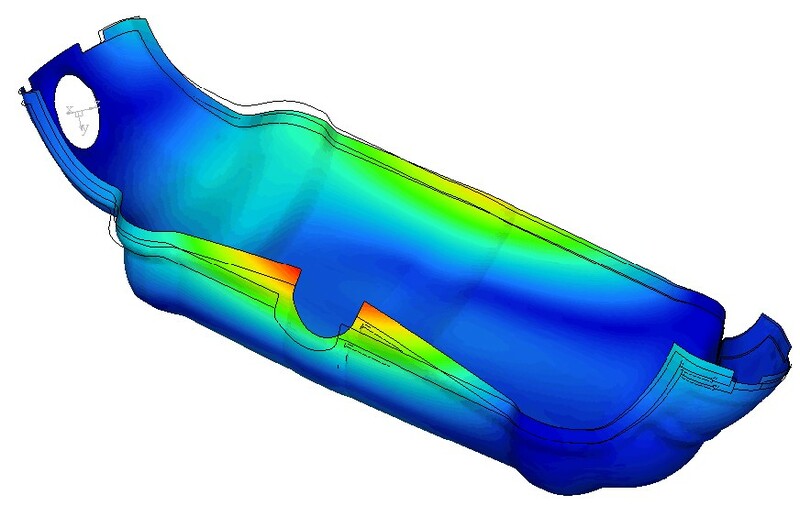 In advance of the final design and manufacturing of components, CAE analysis is used to predict the functional behavior of each component. 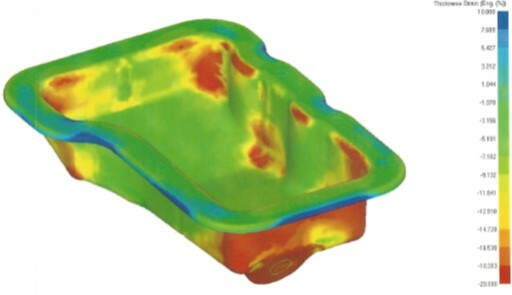 CAE will simulate the functional and durability performance of each component as attached to a vehicle and identify an areas of concerns that require design changes. Prior to the release of design to manufacture stamping tools, Forming Analysis simulates the performance of the metal being formed as it moves through the entire stamping process. Any areas where the metal does not meet thickness requirements, design needs to be changed.